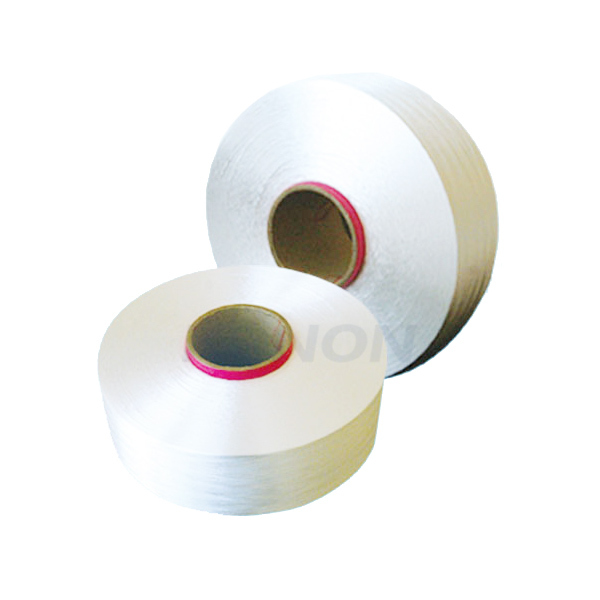 Polyester Low Melt Yarn - - Products - Melt polyester yarn, polyester soft touch thermal fuse, thermal fuse washable polyester, polyester thermal fuse crisp, easy-care polyester thermal fuse, thermal fuse polyester no environmental pollution, Jiangsu polyester thermal fuse, high quality polyester thermal fuse, - Jiangsu Konon New Material Co., Ltd.
Polyester thermal fuse having a low melting point, melting point: 110 °, self-adhesive thermoplastic and, when heated to a certain temperature softening and melting into a viscous fluid having a certain fluidity, cooled and then re-solidify into a solid. Low meltpolyestermultifilament yarnhaving a low melting point, melting point: 110 °, self-adhesive thermoplastic and, when heated to a certain temperature softening and melting into a viscous fluid having a certain fluidity, cooled and then re-solidify into a solid. 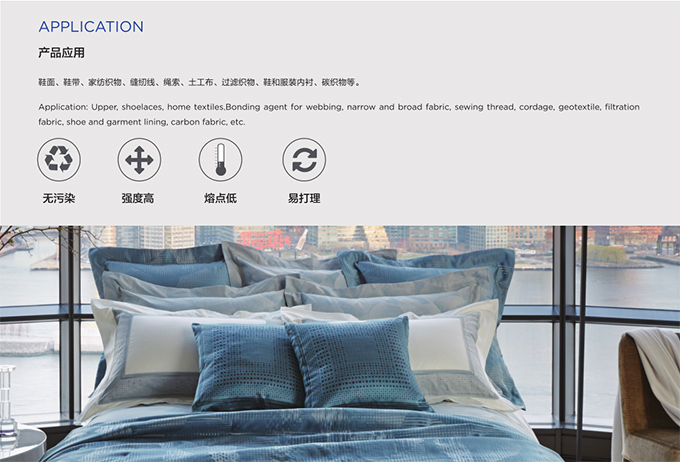 Low meltpolyestermultifilament yarnwith conventional polyester or other fiber blend produced nonwoven fabric or knitted or woven into a thermally bonded fiber products, with a soft feel, high strength, washable, crisp, easy care, no environmental pollution and other features. 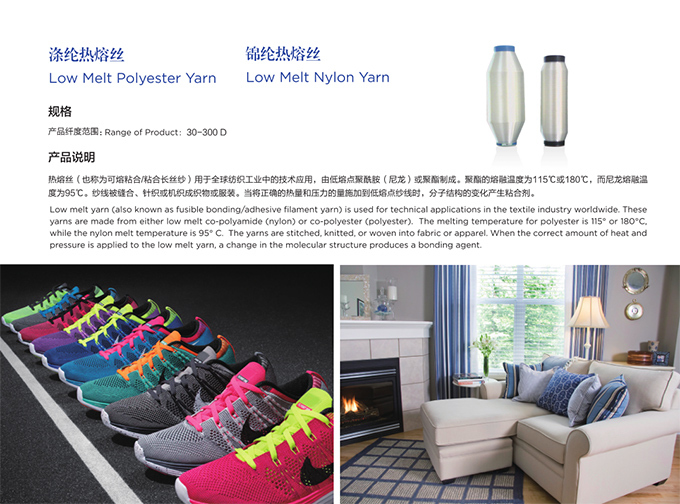 Low meltpolyestermultifilament yarnUses: mainly play the role of thermal bonding, Bundy line for weaving, high-strength webbing, wool carpets, padded, lined with automobile and other industries.